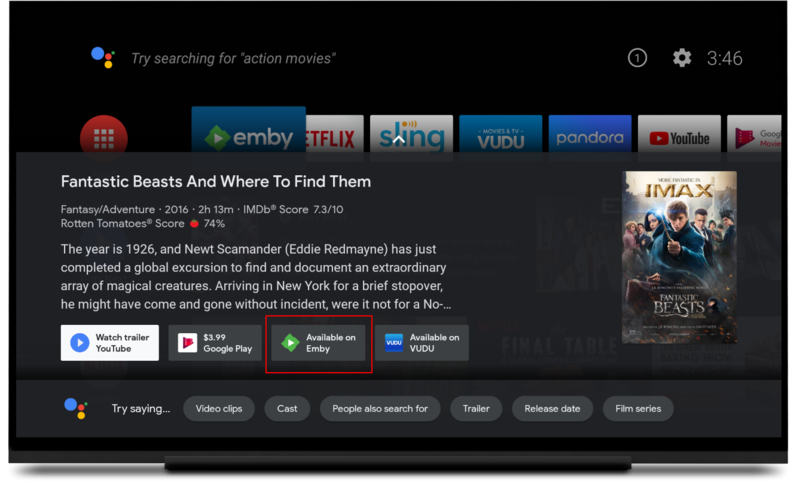 Our Android TV and Fire TV apps have a new release rolling out over the next few days that will give you a nice new, much cleaner look to the overall interface. We think this new look makes the app more modern and easier on the eyes - allowing you to take in the information better. And the new detail layout really allows your background artwork to shine. This release implements optional fields to allow you to select the version (if you have multi-version items) as well as audio and subtitle tracks before beginning playback. These controls are optional for all content other than mult-version items (where they will always show so you can select the version). If you would like them to show for all content, simply enable that option in the Playback Settings. 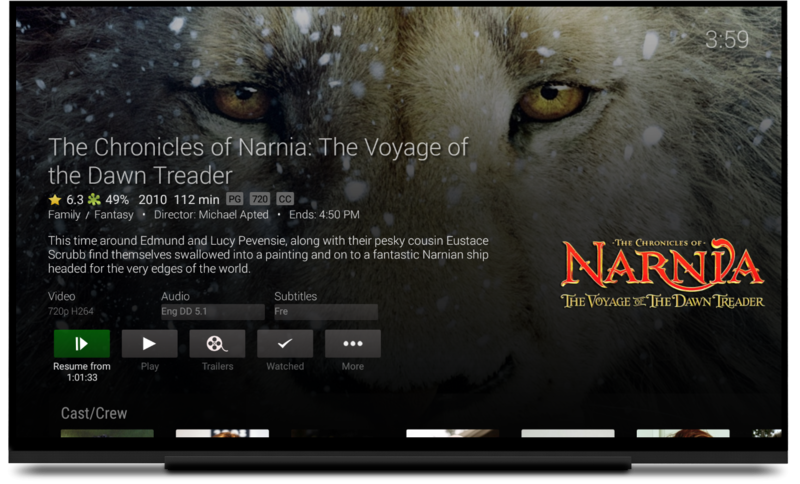 This version now integrates with the built-in Google Assistant search on Android TV 8.0+ devices. 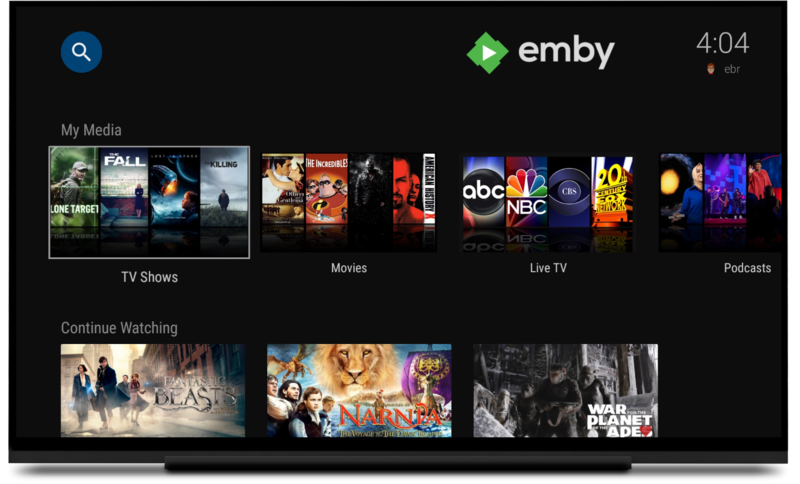 Now when you search from the home screen (or anywhere else) with the Assistant or voice search, you will see content from your Emby library along with other apps on the device. Emby devs just keep reinforcing my decision to get lifetime Premiere. Keep up the great work! Absolutely looking forward to seeing this! Very clean and coupled with the recent server update, it's pretty responsive too! Great work! I'm liking what I'm seeing. I can't wait to try it. 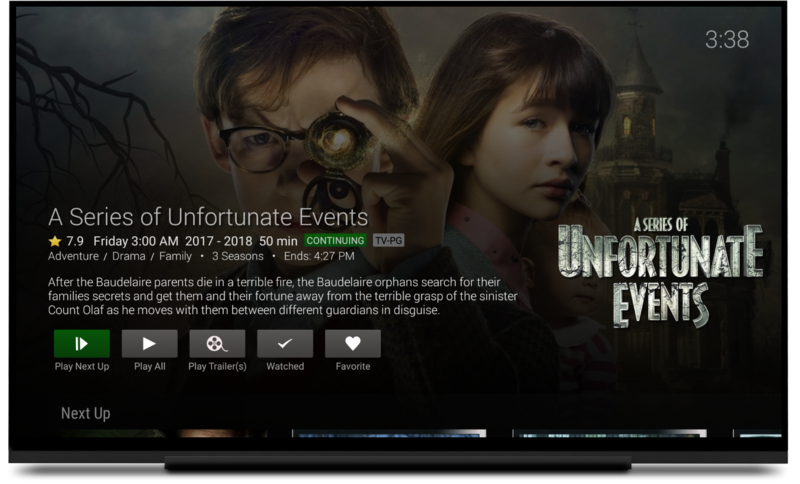 Just updated on my Nvidia Shield and I really like the new features. 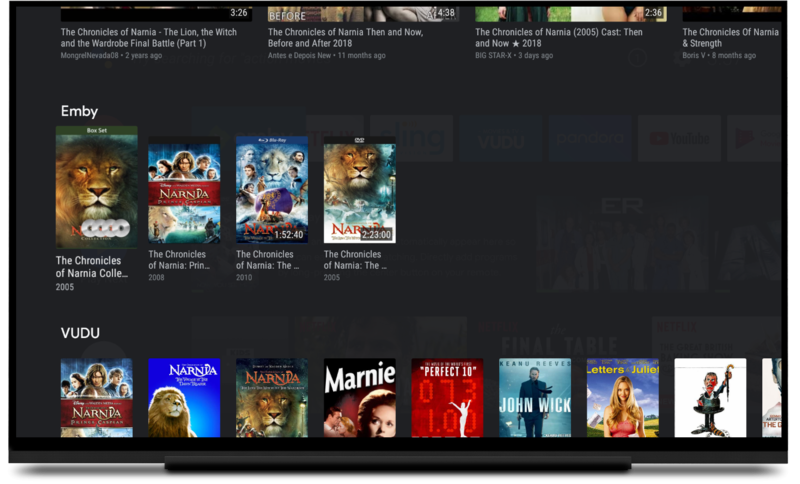 Hoping some of these feature will show up on the Roku app, also. Thanks for all you do!! Thats great ppl but is there a plan fixing the cc size. My parents are old ppl and believe me they cant read the subs i actually got them a 60" TV and still they have a problem reading the subtitles. I don't use the android app but i would love to instead i use a browser on a laptop. I got the update and the first time I ran it it was fine, then the second time the ugly side menu came back. I cleared the cache as well. Great work fellas, keep it up! Keep up the improvements and visual enhancements guys ! Is this new update coming to LG WebOS ??? Hi, we are working on a new update for our LG app. Stay tuned. Thanks ! did your backdrops ever start working again? No not yet, Ive refreshed all folder metadata and restarted a couple times with no change. I have all Mission Impossible 1-6 on my Emby and only 1and 3 show up(available on Emby) with built-in Google Assistant search on Nvidia Shield. Looks much better. Seems to bring it much closer to the UI of the web app, and Emby Theatre on Xbox One.